Read skier and snowboarder-submitted reviews on Timberline Lodge that rank the ski resort and mountain town on a scale of one to five stars for attributes such as terrain, nightlife and family friendliness. 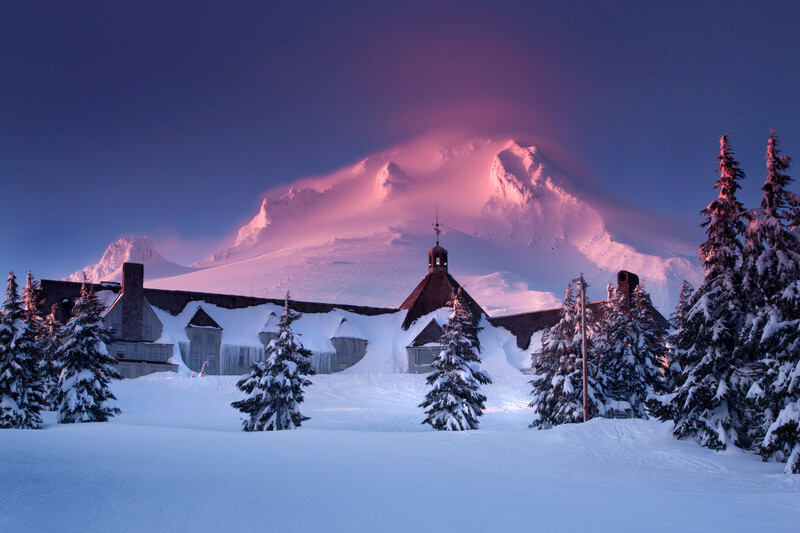 See how Timberline Lodge stacks up in the reviews, on and off the slopes, from skiing and family activities to the après scene. Read up on pros, cons and other comments in reviews left by fellow skiers and riders. Don't forget to submit your own Timberline Lodge review! Scroll to the bottom of this page to let other travelers know about your skiing and resort experience. For more destination information, click Add to Compare to see a side-by-side comparison of Timberline Lodge vs. other ski resorts (up to 10 total). Had an awesome day today at Timberline. I was boarding and my buddy skied. The snow was topped with ice in the morning but became slush later on. Most of the riders seemed pretty darn good! I haven’t normally admmired the other riders as much as I did at Timberline. I got a great discount with my military ID and I was so very appreciative of that discount. The runs are long!! My legs were burning by the end. This is the absolute best lodge ever. Highly recomend you come! snoowboard!! !surf the white mountains!! !chee hee aloha!